Committed to the highest standards of grooming in New Zealand. 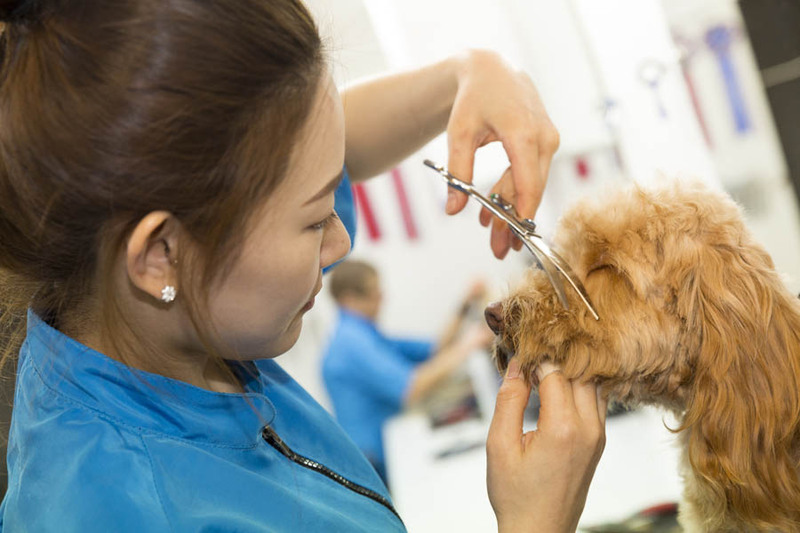 Whether you want the highest quality dog grooming (or cat grooming) experience, or you want to learn to groom from the best in the business, you are going to love Angels Professional Grooming Centre, located in Massey in West Auckland. We are expert dog groomers and we have speciality training in dog and cat grooming, hand stripping and dog handling. Our staff are trained by an award winning dog groomer, who is also the owner of Angels Grooming. Large, bright facilities just off the motorway, with lots of parking and a love of grooming second to none, Angels is a hidden secret we are only too happy to share. Take a look around our site here online, then come visit us in person. We’d love to show you around. Sam and Cola (2 miniature Poodles) are brothers and have been clients with Angels Dog Grooming for 3 years. They are groomed every 5 weeks and look superb. The time taken and care given and advice we receive is a tremendous service. “Not only do I look beautiful when Angela has groomed me but I look forward to going to her place as they are all very kind to me” For myself I cannot speak highly enough of the grooming service that Angela offers. Both she and her assistants are very professional and obliging. This is our friend Bonnie a 7 year old American Cocker Spanial. Bonnie has been groomed by Angela of Angels Dog & Cat Grooming Parlour for over 5 years. Angela had a wonderful, kind and patient way with handling Bonnie and always gave her a lovely professional groom. Bonnie loved her. I was always very happy to recommend her services to any dog owner who asked where I had Bonnie groomed. Sadly Bonnie is no longer with us, however if I ever needed a dog groomed in the future I would aways choose Angels.